It may not be the first state that pops in your head when you think about natural beauty, but Arkansas has plenty for RVers to see. Arkansas is home to 52 State Parks, five National Parks, three National Forests and even a National River. If you’re looking to escape it all, ditch technology, and get lost in the wilderness, this is the RV destination for you and your family. With the history of the south to get lost in, quaint towns that’ll remind you of western Europe, and hot springs for miles, Arkansas is nothing like what you imagine when you close your eyes. There’s something for every traveler here in The Natural State, as Arkansas is known, and you’ll discover something new each time you visit. Tom Sawyer’s RV Park is all about relaxing on the banks of the Mississippi like the Mark Twain character it’s named after. There is no lack of amenities at Tom Sawyer’s RV Park. You have the choice of gravel or concrete pads, both back-in and pull-through with electric, water, and sewer hookups. Showers, laundry, and internet access are provided at no extra cost. Unlike many of my other choices, Tom Sawyer’s RV Park is more about relaxing. Set up on the shores of the Mississippi to watch barges and ships pass through, play with your dog, or go fishing for giant River Catfish. For those who want some excitement and blues, downtown Memphis is only a few miles down the road. 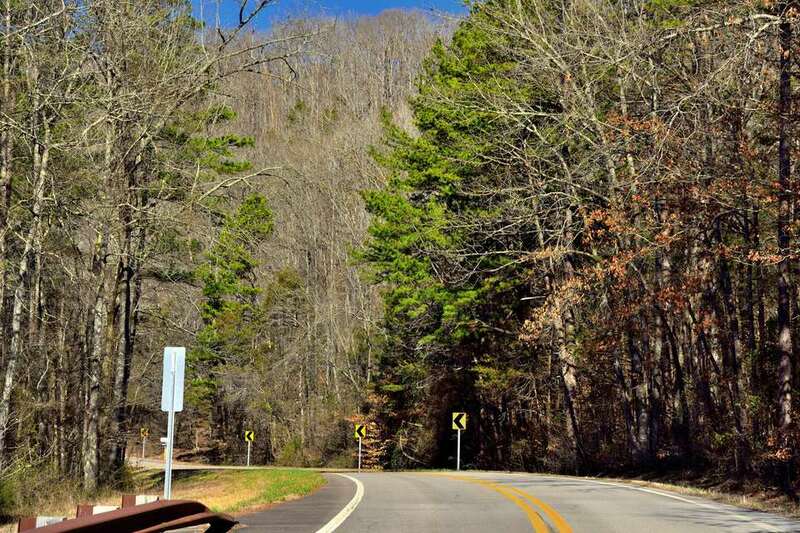 Gulpha Gorge Campground is your starting point to explore the 26 miles of trails or relax in the naturally occurring hot springs of Hot Springs National Park. There are plenty of amenities, especially for a National Park site. There are 30- and 50-amp electric, water, and sewer hookups at all sites. There are no real showers but very nice restrooms. The Hot Springs Reservation, the first name for Hot Springs National, was designated as protected in 1832, 40 years before Yellowstone. This makes it the oldest National Park unit. With 26 miles of hiking trails, there are plenty of ways to take in the beautiful natural scenery or stroll through historical Bathhouse Row or the Grand Promenade. It wouldn’t be a visit to Hot Springs without a hot bath. Visit one of the local bathhouses that are fed from the springs for some excellent rest. Wanderlust RV Park is your starting point to explore the charming town of Eureka Springs. The amenities and cleanliness of Wanderlust RV Park are outstanding. They rank at least nine out of 10 on facilities, restrooms, and appeal as rated by the Good Sam Club. You get all your utility hookups as well as picnic tables at each site. There is clean laundry, showers, Wi-Fi, a pool, and a paperback book swap for you to find something new to read on your adventure. The nearby town of Eureka Springs is renowned for its Victorian charm and is known as the Little Switzerland of America due to its alpine-style architecture and Victorian style manors. After you’ve gotten your fill of shopping and dining, hop on the Belle of the Ozarks to take a cruise down Beaver Lake. I recommend Ozark Mountain Ziplines so that you can soar through the treetops of the Ozarks. Gilbert RV Campground is located on the banks of the Buffalo National River, the nation’s first designated National River. The grounds have what you need in a quality campsite including full utility hookups, satellite TV, W-Fi, showers, laundry facilities, and even some grocery shopping within the grounds. Where Gilbert shines is the potential for fun located within walking distance of the grounds. You are on the doorstep of fishing, horseback riding, hiking, and swimming. Rent a canoe, kayak, or tube to explore the bluffs and wildlife along the Buffalo. Prepare for plenty of fun with over 700 miles of shoreline and excellent fishing on Table Rock Lake, in northwest Arkansas. Ozarks RV Resort is a majestic home base for exploring Table Rock Lake, with 163 concrete RV pads equipped with electric, sewer and water hookups, grills, and free Wi-Fi. There are plenty of ways to relax at the campsite with hot tubs, a swimming pool, pickleball court, tennis courts, and even a private boat launch. Rent a boat to explore the 43,000 acres of Table Rock Lake for fishing, skiing, tubing, and much more. The fun nightlife of Branson, Missouri, is over 30 miles away, and the charming town of Eureka Springs is not too far away as well. Arkansas might not be your first choice as an RVer, but now that you see what it offers, how can you stay away? Arkansas should be on every road tripper’s bucket list. Even a drive through the state will bring you closer to nature than most other places in the U.S. If you plan to travel through Arkansas, stay for a day, you might be surprised by what you find.